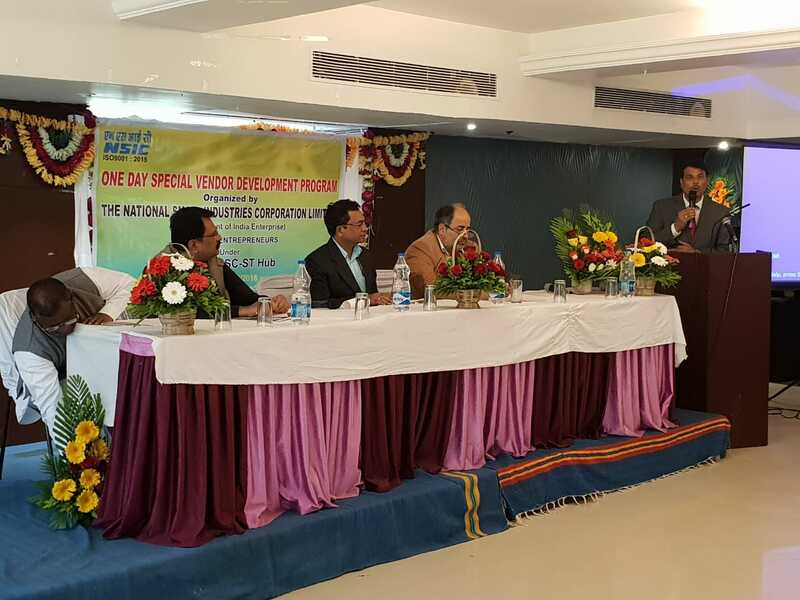 The National Small Industries Corporation Limited (NSIC) in association with Gujarat Audyogik Vikas Nigam organised a one day special vendor development programme in Vadodara for the SC ST entrepreneurs. The programme put focus on the government schemes and subsidies specially design for such vendors in their development programme. The aim is to inspire the entrepreneurs to come forward to take benefit of the government schemes and set up their businesses. Today’s seminar in Vadodara was Vendor development programme where they were briefed about the policies and schemes specially designed for them. “In today’s seminar we briefed the entrepreneurs about the Central PSU procurement policies which help them to know about the items to manufacture as er the company requirement list. They were also get to know about the government policies which help them to market their products in foreign countries free of cost at about 52 international events,” said P.K. Jha Zonal General Manager Central Zone NSIC. The seminar also briefed the entrepreneurs about the online application process to get them registered in the NSIC which gives them a free excess to loads of opportunities. “SC ST entrepreneurs get 100% subsidy in setting up their businesses even in a start-up. In tender process also if they go through us then it will be more beneficial for them to get contract in government departments,” said Jha. “Government is working on to make SC/ST Hub and we want to give momentum to the public procurement policies to increase their purchase in the government sectors. In the last five or six years only .5% target is achieved against the 4% decided by the government and we want to increase the percentage in coming days, ” added Jha.